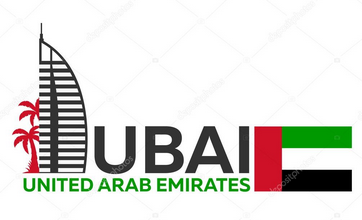 The United Arab Emirates (UAE) has suspended issuance of three months visa to Nigerians. A travels and tours firm, Afric Holidays, announced this in a terse statement through its Instagram page today. ''Nigerian Passport holders are no longer eligible to 3mths UAE Tourist Visa. 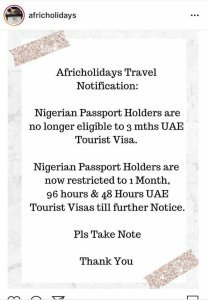 Nigerian Passport holders are now restricted to 1 Month, 96 hrs & 48 hours UAE Tourist Visas till further notice,'' the statement read. Na so dem dislike us reach? Issok.